Title Agents Have all the Secrets to investing in the real estate world. Jack Butala: Title Agents Have all the Secrets. Every Single month we give away a property for free. It’s super simple to qualify. Two simple steps. Leave us your feedback for this podcast on iTunes and number two, get the free ebook at landacademy.com, you don’t even have to read it. Thanks for listening. Jack Butala: Welcome to our show today. 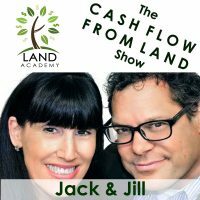 In this episode, Jill and I talk about title agents and how they have all the secretes. Great show today Jill, before we get started though, let’s share something interesting and made possibly funny that happened to us recently. Jill DeWit: You know we’re really good about saying do as we say and not as we do, and I have on here. Don’t do what Jack and I just did. Jack Butala: Thrown under the bus right now. Jill DeWit: Yeah. Throwing us both under the bus right now. We took on brand new member, not member, employee, like a big time employee in our world, and his official, unofficial title is COO, and he really is head of our operations now So what did Jack and I do? Goof off, for a week. Jack Butala: We really did. Jill DeWit: We had a whole fluff week of fluff. It was just like well he’s here now we don’t have to do this. Jack Butala: That’s so not true. Jill DeWit: No we still kind of have to, and to the poor guy who’s still learning what we’re doing, and we just like we’re horsing around. We really … We mentally and physically left. Cause in the office we weren’t there. 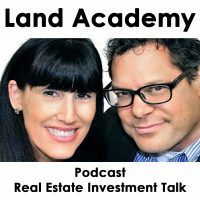 Jack Butala: We’ve been working like crazy for 12 months on Land Academy. Jill DeWit: More than 12 months. Jack Butala: Lance Day, I mean Land part of this is sealed up and cash flowing and awesome, and constantly growing. It’s great, but we worked out tails off for more than a year. Jack Butala: But yeah, we just both had enough. You’re right. Jill DeWit: We’ve had 18 months of not really taking any breaks, so boy we took a break. Jill DeWit: Oh my gosh. I apologize. Our shows were suffering. We let some things … we gotta catch up here. Jack Butala: Yeah we did. Jill DeWit: We are back. Jack Butala: We’re back. Nothings new. I mean everything’s new. Jack Butala: Everything’s fine is what I mean. Jill DeWit: Yeah, it’s going to be even better. Now that we have the right talent in place to help us. Jack Butala: It’s a dream come true. Jack Butala: Cycles Corporate cycles. Jill DeWit: And that phase and now you’re in a you know … you like to say first gear, second gear, third gear, kind of thing and when you switch gears sometimes it’s hard cause you’re so used to that gear. Start up phase, first gear, it’s like. [reeeeeen 00:02:40], that’s really what you’re doing, and when you can kind of shift down a second you don’t know what to do a little bit. Jack Butala: Yeah, zero to first. Neutral to first. Jill DeWit: Right, you’re like whoa, whoa okay. So now we just change gears, so it’s a little bit like whew, take a step back everybody, now we’ve got to get used to this one. Jack Butala: It works. It’s taped together. Everybody loves it. Jill DeWit: But people are paying for it so there’s something here. Jack Butala: Yeah, there’s value. We are really adding value and creating equity. Then third gear, we’re shifting into third. We’re handing the reigns over to a pro operator. A proven, professional, high paid operator to really deliver it. Cause now I’m on to the next thing. Jill DeWit: That’s it! That’s how I know you are good and and slash love first gear. So what do you do? Instead of even thinking about fourth gear and fifth gear and preparing for that and preparing for that, no, no, no, you’re look for another thing to be in first gear again. It’s really funny. Jack Butala: I’m not looking for it. I found it. Jill DeWit: I want fourth and fifth … I’m ready for fourth and fifth … I want some coasting. Jack Butala: Well fourth and fifth gear will never happen if I’m expected to execute third gear. Jill DeWit: That’s why we bring in people. Hello. And different companies need different people. Jack Butala: We’re not sitting here just talking about ourselves for however long the show is. I’m trying to make this a piece of advice. If you’re a third gear person listener, then that’s great. Find yourself a first gear partner, and vise versa. I learned that the hard way. Beating myself up all the time, like oh man I should be expected to be all these things. Its the E-myth, that book, which I think is a pile of poop. Jill DeWit: You know what I watch people in our world doing a version of this, Hey I’m not good at this. Can someone partner with me. You’ll do this and I’ll do that. Jack Butala: That’s the absolute right way to do this. Jill DeWit: I agree. It’s brilliant. Jack Butala: That’s one of the things about our group I love. Jill DeWit: I think that’s one of the values about our group and our little world is everybody’s better together. We’ve all figured that out. And how do we know? Success plan. How’s that for a transition? Jack Butala: Speaking of success plan, let’s take a question from success plan. Jill DeWit: Exactly. Which is true. Everybody in there helps each other and here’s a good question and we’ll answer it. Jack Butala: Yeah, and this is a great question and I think we had a question about this earlier in the week. You got to do a lot of research in the beginning to find out where you’re going to send these mailers, so there’s a couple ways to look at this. Because that county website situation is not like it would be in an urban city, like it would be in Los Angeles or Phoenix, there’s probably less transactions going on there so you’re going to kick it, you’re going to do great financially. But you do need to find out about these properties before you buy them, so mapping is imperative. We have a tool in our toolbox called Title Pro 24/7, where you can get GPS coordinates on just about any property. Jack Butala: And consequently maps, and ownership and the whole thing. To answer your question is that is the work around. We’re aware of this situation … The fact that a county doesn’t have a map, a GIS or web look never stops us. There is a third party issue, and it’s called Agent Pro 24/7. 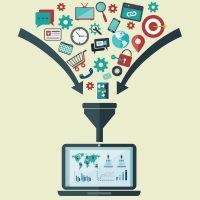 It’s part of our data package. Jill DeWit: And how it happens behind the scenes is just because a county doesn’t have it online, this provider that … Us as a provider, how it works is we are the provider but it’s not us doing this, but there really is somebody that is going to these counties and getting maps and actually physically scanning and uploading document so they’re there available for us. That’s the reality, just because a county is not all that good … they don’t have the man power … People are doing it and so you can get to this stuff. Jill DeWit: We’ve been there. Jack Butala: We’ve been there. The solution is what I just said. Jill DeWit: The beauty of it is, what I think is so great is that, gosh ten years ago, it was a lot harder. Ten years ago we did not have resources that we have right now Ted. Ten years ago I remember doing this. I remember calling counties and finding out the map and the book and the page, literally sending them a check and a letter requesting them to mail me back the plat map for da, da, da, da, da, da. Remember this Jack … of course you do, but we had a whole … even before me you had a whole team that’s what they would do. It was nothing about getting these county plat maps, literally scanning them in … our office was doing it for our own resources. It was a lot of work. Jack Butala: We have a lot less people working in these companies than we used to. Jill DeWit: You’re right. Because of the stuff now and the resources. That’s why … You’re right. Back in the day Jack there was a whole team to be this business and now you don’t need this whole big team. Thank you. Jack Butala: If you have a question or want to be on the show, reach our to either one of us on Success Plan. Today’s topic, Title Agents have all the secrets. I’ve said it on the show before, I am in love with title agents. They know the most about real estate and the most about what’s going on with the county, but they’re not deal makers. They are kind of like the data people. Which is really kind of what I am. Jill’s a deal maker. Jill DeWit: Have you hugged your title agent today? I’m going to get that bumper sticker. Could you imagine? I want to do that. Jack Butala: That’s awesome. That’s great. And I think we do a ton of deals without title agents because we are acting as a title agent. If we pay five or six hundred dollars for a piece of property or a thousand bucks, we act like a title agent. We check to see the owner, who they are. We check to see if the person that we’re speaking with on the phone and the chain of title and the whole thing with the tools that we use. But on higher value properties. Let’s say five, six, seven , ten thousand bucks, and we sell them for 20, 30, 40, we go through a title agent. And we check their work. That’s another value of this. We are qualified to read the documents, check their work, and let me tell you, I have caught a lot of errors. Jill DeWit: No body is infallible. You’re right. It’s good to keep an eye on it, but realistically, because that’s all they do all day long. They see the problem ones. Jack Butala: They talk to everybody. They talk to buyers all the time. They talk to sellers all the time. They talk to real estate agents all the time. Jill DeWit: Attorneys all the time. Jack Butala: I’m not joking when I say they have the secrets. If you call a title agent and say hey where’s the path of progress? I’m a land investor. I want to buy some property, hold it a while. Nine out of ten are going to tell you oh that’s real simple, it’s over here. I see all these deals coming in. They know what’s going on. I have tons of respect. Jill DeWit: I agree. That’s a really good thing. Jack Butala: You are not alone in your real estate, title agent ambition. Jill DeWit: I think it’s a tough job. Jack Butala: Do you have real estate agent love like I have title agent love? Jill DeWit: Do I have real estate agent love? Jill DeWit: No, I have title agent love. Jack Butala: Okay. I’m just checking. There’s no wrong answer. Jack Butala: I see a lot of that. Jill DeWit: Why try to fix something? Never mind they could be doing more deals and doing it better. I give these new agents that are coming along and their figuring it out. Like there is a better way. Jack Butala: What do you think that primary job of a real estate agent is? Jill DeWit: Talking on the phone. Jack Butala: I think the philosophical primary job is to maximize price for a seller. That’s why I hire an agent. Jill DeWit: You know what else I think though? Getting listing. You want to have a ton of listings. Jack Butala: I don’t mean what does it take to be successful. What it take s to be successful is to get a lot of listings. We all know that. But I think the primary job is to maximize price for the seller, and I never see that happen. Never. Jill DeWit: I don’t know. Are you sure. I think it’s flip it fast. I think it’s the speed. You now like that guy here locally, the one we’ve talked about … He guarantees it’s going to sell in “x” time. You now the one I’m talking about. He’s always on the TV and radio right. Jack Butala: Or he’ll buy it. Jill DeWit: Right, right. He’s not a maximize price guy. He’s a your house will get sold. He guarantees your house will get sold. He never guarantees you’re going to make a big outstanding profit. Jack Butala: Yeah Jill you’re right. Jill DeWit: He’s not a maximize price. So that’s the thing. Jack Butala: What do you think the primary job is? Escrow agent? Jill DeWit: Making sure … crossing the T’s and dotting the I’s. Jack Butala: Exactly and I think that to get the deal done. Close the deal properly, and safely. Jill DeWit: And it may take a while. Jack Butala: So it’s all important. Jill DeWit: I agree. Good stuff. Jack Butala: Information and inspiration to but under valued property.